I recently received a call from a friend asking for help choosing paint colors for her new house. She explained that her family’s house hunting experience had been rather long and tedious. They would be closing soon on a newer house in a great neighborhood. They were excited and knew that their new home would really work for their family, but she’d been hoping to snag an older Mid-Century Modern home in a more established neighborhood. Did I mention my friend is awesome? 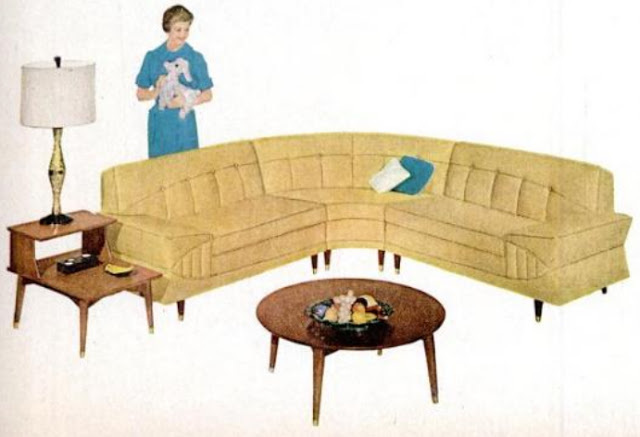 Mid-Century style is in the spotlight right now, but my friend has been a long-time fan. She associates the style with the warmth and love of family. Her grandmother’s home and furnishings were Mid-Century, and she really wanted her new home to have that vintage vibe, but in an up-to-date, less “grandma’s house” way. 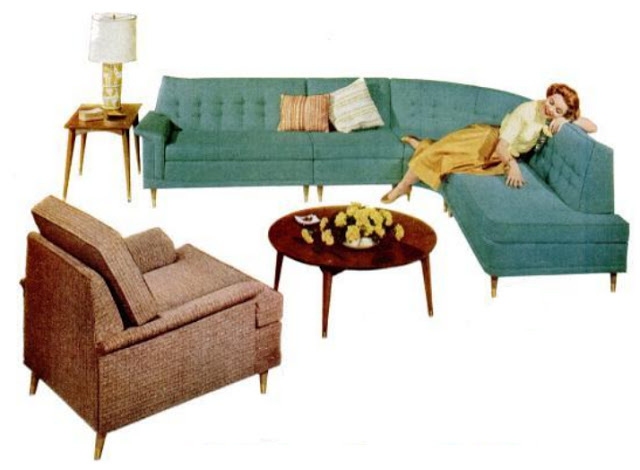 Modern Mid-Century, if you will. We set up a secret Pinterest board to share inspiration photos. Here are a few she pinned. I’m loving the colors. My friend already has several pieces of Mid-Century furniture that were passed down from relatives and purchased from antique shops over the past several years. After taking inventory of the pieces she owned and planned to use in the new house, talking with her about future furniture purchases, and looking through her inspiration photos, I had a good idea of what direction to go with the color palate for her new place. Light, peaceful, and modern colors will bring in current trends and fit the style of her more traditional home, while setting a comfortable background for her fabulous pieces of vintage furniture. The perfect mix of old and new for this busy young family who values spending time together at home. Can you believe that we didn’t have to tweak any of these colors! They tried samples on every wall, waited 24 hours, decided they love them and went back to purchase paint. These colors are now on her walls and really turned out lovely. We’ll be working on the rest of the project in stages, which works really well for this type of long-distance project. Stay tuned for some kid’s room inspiration and design boards!